I used 8cm tart tins with removable bases. You can also make this in larger tins or using a cupcake tin for smaller tarts. Cooking times will vary depending on sizes. 1. 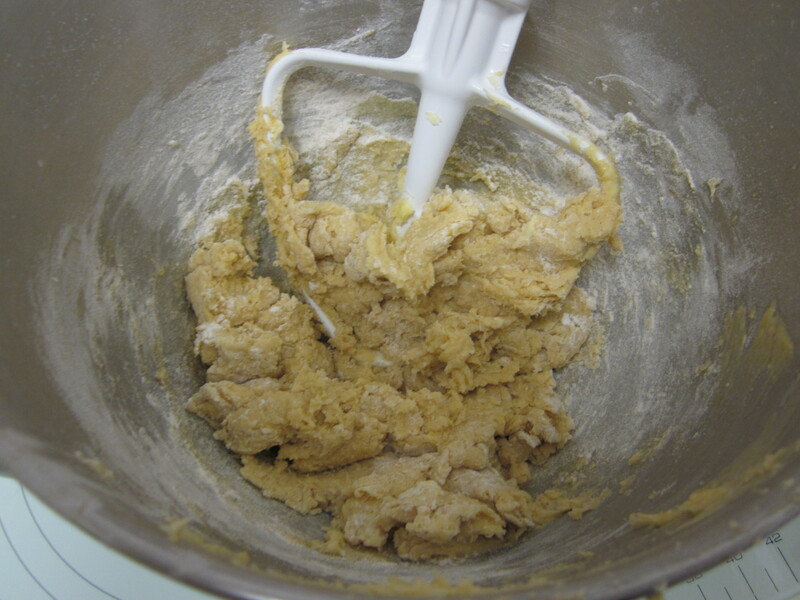 To make the pastry, cream together the butter and sugar in a stand mixer using the beater/paddle attachment (not the whisk) or with an electric hand mixer (you can do this by hand however it will take a while). The mixture doesn’t need to be light and fluffy; you are simply looking to combine the butter and sugar well. 2. In a small bowl beat the eggs and vanilla together. In another bowl combine the flour and cinnamon. 3. Still mixing on a gentle speed in the stand mixer, add a small amount of the egg mixture to the creamed butter and sugar along with a little of the flour/cinnamon mix (this will help the mix combine easier). Slowly add more of the egg mix and a little of the flour. Once all the egg has been added, add the remained of the flour and mix until it just comes together. You will need to occasionally scrape the sides and bottom of your bowl if using a stand mixer. 4. Bring together to form a dough (using your hands is easiest). If it is a bit sticky, you may need to add some extra flour. Wrap in cling film and place in the fridge for at least 20 minutes. 5. 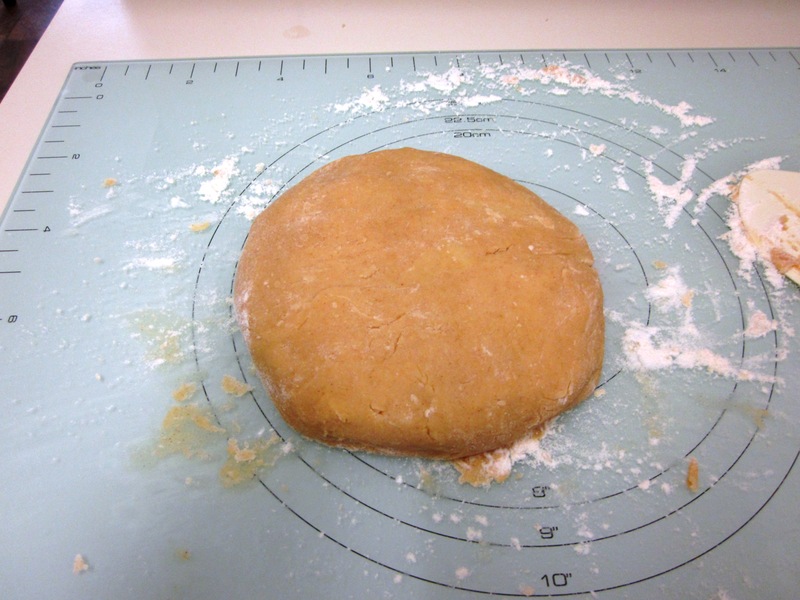 On a clean, lightly floured surface, roll the dough out to the desired thickness (about 1/4cm thick) and cut using a round cutter slightly larger than the tin you are using. Line the tart tins (I sprayed my tins with baking spray/flavourless oil such as canola to grease before filling) and place the lined tins in the fridge to cool (at least 5 minutes however longer leave them for longer if you can). Note – if you have left it in the fridge for more than an hour (or defrosted it in the fridge from frozen), you will need to let it warm slightly (at room temp) before you start rolling it, as it will be too hard to work with. Also, if you find the pastry gets too soft as you are working with it, just put it back in the fridge for 5 – 10 minutes. 6. To make the frangipane, place the butter, sugar and orange zest into the bowl of a stand mixer (or you can use a hand mixer) and cream together using the paddle/beater attachment (not the whisk) until pale. 7. In a small bowl beat the egg and in a separate bowl combine the flour and almond meal. 8. Still mixing on a gentle speed in the stand mixer, add the egg gradually, adding a bit of flour as well to help it combine. Continue to add slowly, alternating between egg and flour/almond meal until it is all combined. You will need to occasionally scrape the sides and bottom of your bowl if using a stand mixer. 9.Place the mix into a piping bag ready to fill the tarts. 10. Preheat the oven to 160C fan forced (180C). 11. 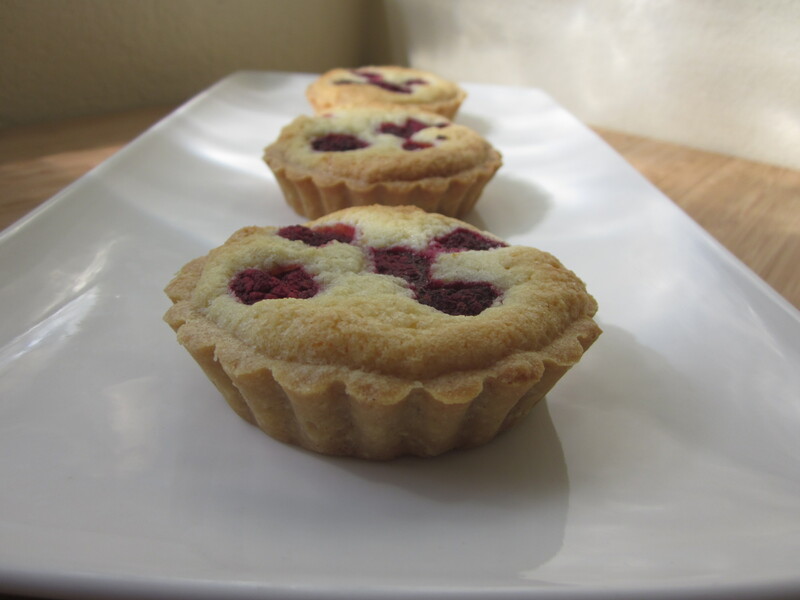 To make the raspberry tarts, pipe the frangipane into the cases and then top with raspberries. 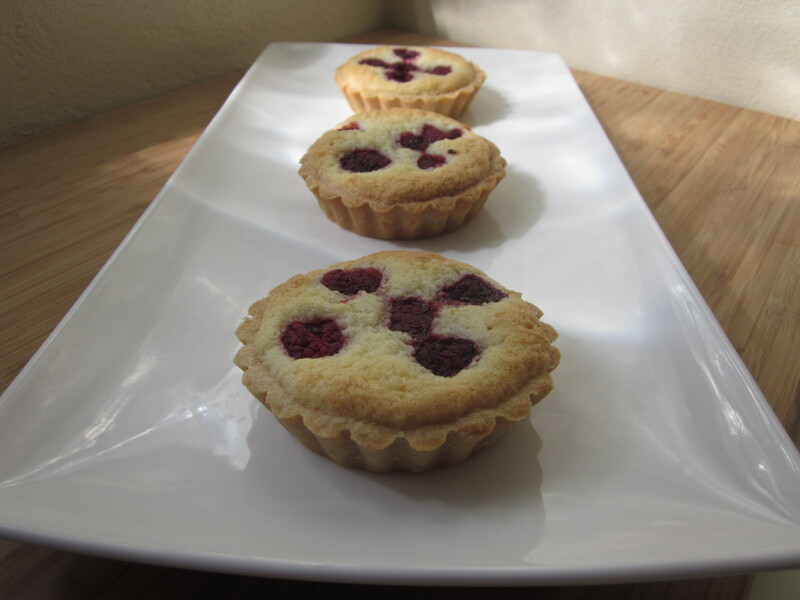 For 8cm tarts I used 5 raspberries per tart. 12. If you are using fruit mince (recipe here or you can buy some from the shops) you can either add the fruit mince first or spoon it on top of the frangipane. You could also place a layer of jam on the bottom of the tart shell and then top with the frangipane. Scatter the top with flaked almonds if you wish. 13. Bake until golden brown and the frangipane is set. 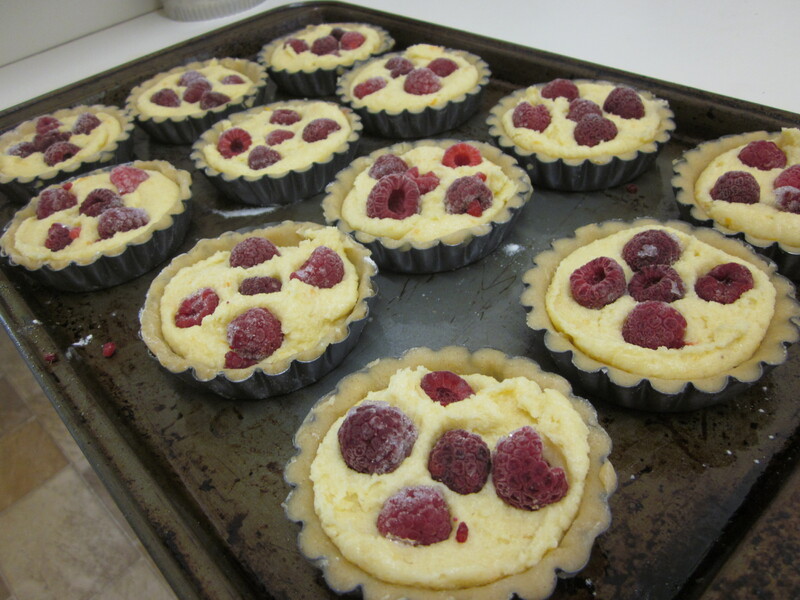 For 8cm tart cases, these took around 25 – 30 minutes. Using a cupcake tin they take about 18 – 20 minutes. Baking times will depend on your oven, the thickness of the pastry, how much filling you have and the size of your tarts. 14. Allow to cool in the tins before removing and serving. Dust with icing sugar if you wish. OMG these look delicious! Well done! Thanks :). They were quite yummy.